All of a sudden, I felt like I could do anything. It was bliss! And I hope that one day all of you get to have the experience of seeing your code come to life. Even so, it can be terrifying to think of going from coding in your house (with Adda and a team of Skillcrush instructors cheering you on!) to coding in an office…with other people. But after talking to hundreds of techies who are just starting out, I’ve realized something. Do you know the biggest reason we get anxiety about becoming a web developer? We aren’t sure if we know enough…Or if we know the right things…Or if we know them well enough to get hired. And the thing is, you’ll need different skills depending on where you work. Maybe you’ll become a Ruby pro at a small company and build web apps from the ground up. Or maybe you’ll spend most of your time writing jQuery plugins at a big office. Or customizing frontend frameworks as a freelancer. 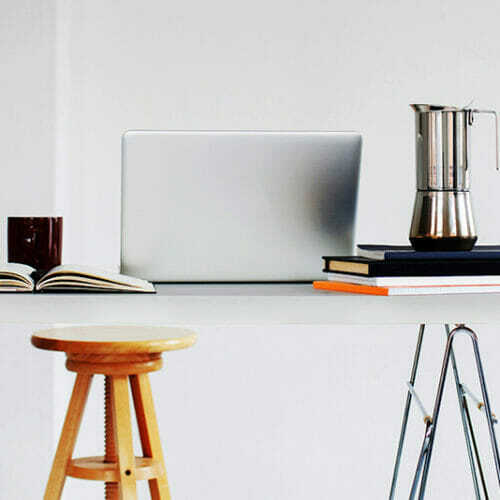 You can’t be totally qualified and prepared for EVERYTHING, but there are a few skills you are likely to use in a huge variety of web developer jobs. If you are just getting into tech and are dreaming of landing a job as a developer, these skills are a GREAT place to start. 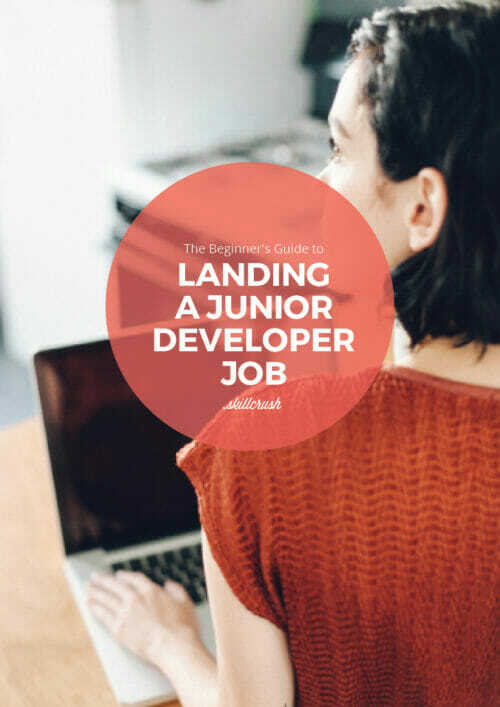 Once you take a look, make sure to download our free ebook, The Beginner’s Guide to Landing Your First Developer Job. You’ll get 28 pages of insights about everything from the responsibilities of a developer just starting out, to job titles you can look for on popular job search sites. 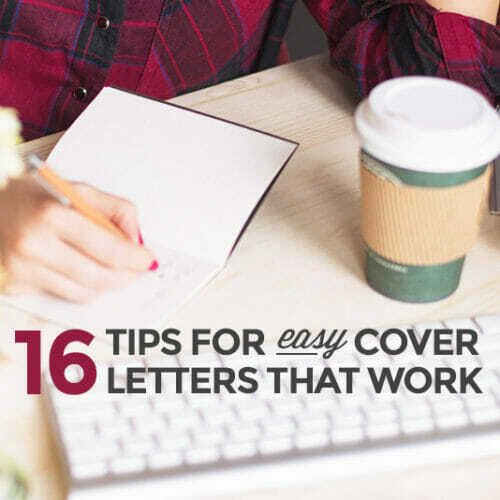 Get the guide here. Even though you won’t spend much of your time as a developer creating icons or visuals using these tools, you need to know how to make sense of files you get from designers on your team. That means you can do things like understand layers, read dimensions, and pull out colors. For example, maybe you’re working on a freelance project with a designer and she gives you PSD files with mobile mockups for the site, using layers for different device sizes and orientations. You need to know your way around well enough to replicate her design with working code. There are tons of free Photoshop workshops out there (Tuts+ is a staff favorite! ), and YouTube is always a great resource when you’re stumped. You can get your hands dirty with Photoshop in the Skillcrush Web Designer Blueprint, where you’ll learn to mockup your designs using Photoshop, and in the Visual Web Designer Blueprint. Hypertext Markup Language is probably the first thing you will learn in your journey to becoming a web developer. It allows you to create the architecture and content of a website. It’s kind of like deciding that you want a house and making a list of all the rooms you’ll have, what floor they’ll live on, and what will be inside them. You’ll use HTML on an hourly basis! Some of the first things you’ll do with HTML are create headlines, paragraphs, and bulleted and numbered lists. But putting the right HTML structure in place is SO important as your projects grow in complexity. A few things to watch out for early on are naming conventions as you write your code (what you name things really affects the quality of your code! ), and syntax, or the way you write the code. You can get a basic intro to HTML in our free 10-Day Tech Term Bootcamp. Be warned—it is known to cause addiction. Addiction to code. Cascading Style Sheets (the second thing you’ll learn!) allow you to take that well-structured HTML and give it a facelift. You’ll take your house and decide on the size, shape, and decorations of the rooms, and you’ll make sure it’s a pleasure to use—no creaky hinges! Like with HTML, you’re likely to use CSS on an hourly basis while working as a developer in many jobs. With CSS, you can tweak backgrounds, fonts, and colors, and even add cool animations. 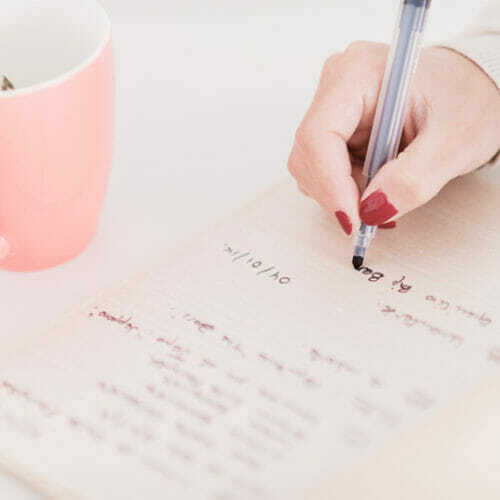 But it’s also crucial for creating website layouts, especially in a world where your site needs to look good on devices that range in size from a few centimeters to several feet. CSS Tricks is a great site for insider tips and solutions, and Jon Duckett’s book HTML + CSS is an industry favorite. The first time I put CSS into practice was in Skillcrush 101—the class is included in both the Web Designer and Web Developer Blueprints. While making sites “go live” might not fall under your domain if you work at a large company, understanding File Transfer Protocol, or the way that the servers and databases communicate to put your code files live on the World Wide Web, is crucial to making sense of the bigger picture and making tweaks after a site goes live. Understanding FTP means you also get the client-server model, which was a crucial step for me in making sense of the bigger picture—where does my code go? But how does it work? You might be noticing a trend, but I learned about FTP in…wait for it…my Skillcrush Web Designer Blueprint! There are also plenty of tutorials online (I recommend YouTube to get a visual sense of what’s going on). Git is a version control system that allows you to make changes to your code without losing work you did before. And GitHub is a website where you can upload (and download) your code and share it with others. A version control system like Git is absolutely necessary for writing code in a team environment. Let’s say you’re writing some code for a freelance project. This way of laying out the page just isn’t working, so you delete everything and start again. Then you realize…you erased a crucial bit of code and now NOTHING is working. With Git, you can switch back to an earlier version, no Minion-panic necessary. And let’s say you were working on that same project, but with a team. You and your teammate Arya (you live in Winterfell, of course) need to work on the code at the same time! Not to worry! You can write your code on separate branches, then merge the code and deal with any conflicts (spots where you both had your own ideas!) before making them final. One of my favorite Git tutorials, tryGit, is free on Code School, and this Git training from Atlassian is super comprehensive. Me? I learned Git on the job and use it here at Skillcrush. In fact, we create the Skillcrush Blueprints by sharing our code on GitHub! There’s also a free Git class included in most of the Skillcrush Blueprints. Cheatsheets, for the win. For developers, pushing out lots and lots of code isn’t the only measure of success. If it doesn’t work or if it is littered with bugs (broken bits! ), you’ll end up wasting time rewriting and tweaking. The best way to save time on annoying and costly bugs? Catch them early! Developing a solid system for bug testing early in your career will help you improve (and gain the respect of others) way faster. And in case you see this popping up in a job listing: Regression testing is a related term that refers to searching for and fixing bugs that appear while you’re making changes to a project. There are tons of awesome tools for bug testing out there—the code validator from w3schools is a great way to get your hands dirty. And check out 6 more awesome code testing tools in our post, 99 Awesome (and Totally Free) Website Building Tools. If the idea of “media queries” means nothing to you, then get Googling! Media queries are a handy little CSS tool for creating fully responsive sites. And these days? Designing for the mobile web is an absolute must, no matter where you end up in development. Nearly 7 billion people in the world (95.5%!) have a mobile subscription (Mobiforge), and smartphone usage is up 394% in the last 4 years (comScore). Plus, Google’s new algorithm in 2015 means that non-responsive sites will be ranked lower in search results (Search Engine Land). You don’t wanna get left behind. Media queries are easy to pick up and play with. I dipped my toe in the water with media queries at a Girl Develop It meetup weekend workshop with Katie Kovalcin—I highly recommend it! You can also try them out with Jon Duckett’s book (mentioned above). Full disclosure: I’m in it! With jQuery plugins, you can add a Twitter feed to your site, create an image slider, give your site smooth scrolling capabilities, and more! And you don’t have to build plugins from scratch to be valuable and attractive to a company. Make sure you can search for a reputable plugin, install it on a site, tweak it to work on your site, and then test it for bugs. Check out these jQuery tutorials on Codecademy, and take a look at the jQuery library of plugins. A framework, any framework! These days frameworks are all the rage. A frontend framework is kind of like a template for creating website with lots of built-in elements, so you never have to start from scratch. A few popular frontend frameworks are Bootstrap, UIKit, and Pure (more like framework modules, but you get the picture). To get experience with a framework, the best thing to do is play around with one (Bootstrap is a great place to start), and build your own project to really get a feel for the way it works and the features it comes with. Make sure that you can install or download the framework, use built-in elements, and customize a site using the framework. WordPress is a content management system (CMS) that makes it easy for clients to make changes to site content. 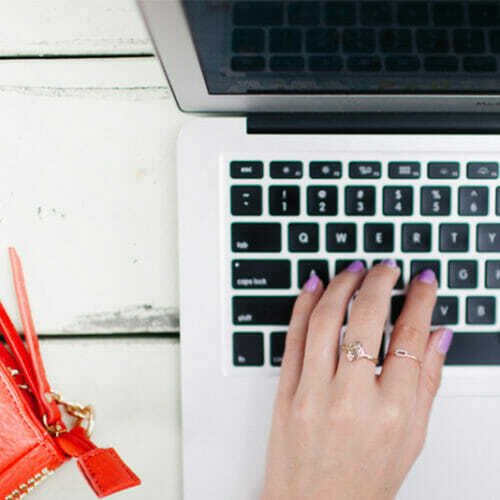 If you have ever blogged or worked on a company blog, it’s highly likely that you’ve dabbled in WordPress. In 2014, over 74 million sites were built on WordPress, nearly 20% of all the sites on the Web (ManageWP). As a WordPress developer, you’ll go behind the scenes with PHP, the programming language behind the CMS. You’ll be able to create completely custom sites that use the power of WordPress, install and create custom themes and plugins, and more. And the great news? WordPress is an incredibly in-demand skills for full-time developers as well as freelancers. WPBeginner has lots of free WordPress tutorials, but you can get the full picture in a Skillcrush WordPress Developer Blueprint, where you’ll learn everything from how to install WordPress to how to design your own custom theme. 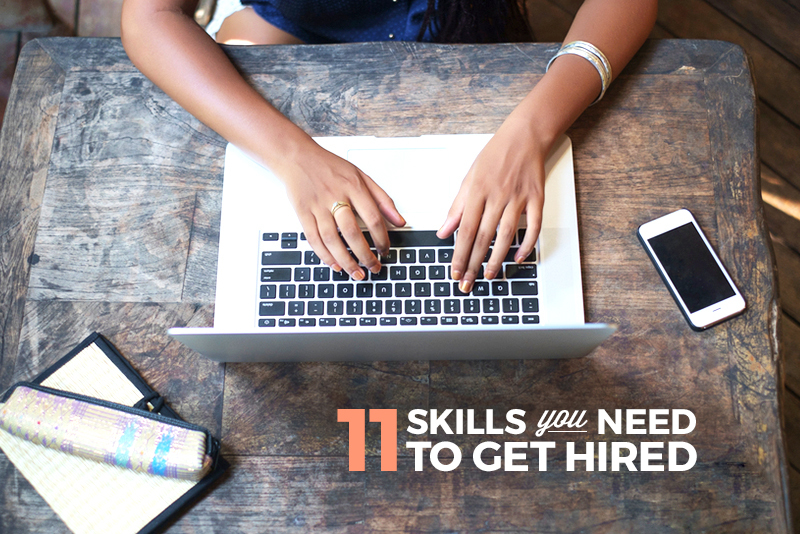 With these 11 skills under your belt, you won’t have to wonder if you’re really ready to apply for that developer job—you’ll know you are. And remember, you don’t need to learn and master ALL of these skills before you start applying for jobs. As soon as you can build a site? Get out there and hustle! 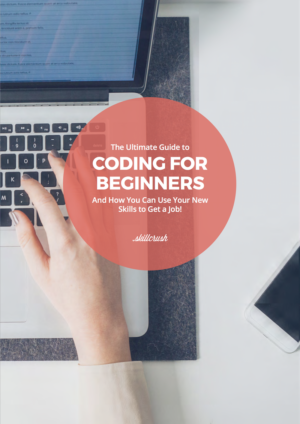 And don’t forget to download our free ebook, The Ultimate Guide to Landing Your First Developer Job. You’ll get tips on how to find the best jobs for techies just starting out, and what life on the job will look like.